How to escape the friend zone? Ahh, the friendzone that dreaded moment when you realize you've got feelings for someone who doesn't feel the same way. It may start with dreams about them. The butterflies in the stomach and before long you're inserting yourself into every aspect of their lives. Day in and day out you strive to be close to them and focus on what they're up to. You give them gifts and offer favors when no one else will. And you put their happiness first. The only problem. They think you're just being friendly. You may have sweaty palms and a red face but they seem calm and relaxed. If this sounds at all familiar then you have experienced to the friend zone. It's a place of stress and anxiety. Where your only goal in life is to break free from the chains of friendship. This may seem insurmountable but feelings come and go and people change. If your love interest is currently unaware of your affection. Now, is the time to consider the following to determine if you can escape the friend zone. But before we find out more about the friend zone take a moment to subscribe to our blog so that you won't miss any updates. Firstly, figure out if it's worth it. Every decision a person's faces has both risks and benefits. The best way to calculate these is to imagine the best in worst-case scenarios. The best they fall for you and see what they were missing the whole time. The worst case varies depending on how badly you went down. They may simply not want to be around you or calmly refuse you and insist on remaining friends either way. You must decide if you can handle a worst case scenario with all the embarrassment and pain that comes with it. So, before you try any of the following steps make sure you're ready for the fallout whether it be bad or good. Secondly, you need to know what you want. We all know what a crush is and we've all had them throughout our lives. The one thing we know about crushes is that they eventually fade. True love is a once in a lifetime feeling. But a crush can be forgotten or replaced if they have been your friend for a while. But you're only recently feeling something toward them. It may be a simple crush and the feeling will fade with time. The last thing you want to do is risk a good friendship for a week long crush. On the other hand, if you've always dreamed of being with them and haven't been able to get them out of your head for a long time. Then it may be worth the risk. Thirdly, keep your other friends in mind. Rarely does a falling out affect only the two people involved. Friend groups often take sides and split if there's a problem. Make sure you know your group well and that there aren't any love triangles or jealous third wheels. If you trust them then consult a friend or two that you both know well. They may have some useful insight into the feelings of the other person or be able to warn you about things you weren't aware of. If a mutual friend is on your side to make sure you use them. Have them drop some hints to the other person. they smile, shyly or blush, you've got a good head start. If they laugh or scoff you may have to reconsider moving forward. No one wants to be asked out. Right after hearing bad news. Take notice of their emotions and ensure they aren't going through a tough time. Consider other situational details as well like if they are moving soon or just got out of a long-term relationship. feel like they are being watched. Make sure they are completely comfortable so that you can get a genuine response. Just politely asking them to step out with you and a social event can be enough. If you feel like all these factors are in your favor then it's time to get planning. Start by figuring out how you can spend more time with your love interest. If you only see them at big events with other people they will never get the hint. Try inviting them to spend more time with you alone. Also Read:What'll Happen to You If You Start Eating 3 Eggs a Day? Lengthy relationships don't turn into passionate romances overnight. People need time to cozy up to new ideas and feelings. You don't want to rush something and ruin it. Avoid intimate things like kisses. Until the time is right. Start with small flirty genuine hints and work your way up. Dropping compliments about their appearance and personality is a good way to show yourself as more than just a friend. Hugs are a safe way to be affectionate without implying anything. Take note of how well they embrace you and if they let you in close. If they tend to shut down when you show affection. It may be that they're not interested in you in that way. Show that your partner material. Good partners don't cancel plans or show up late. If you want to come across as more than just a regular friend. Display the key qualities found in great partners. Keep up with what's going on in their lives make a mental note of events they go to and then ask them how it was. There's nothing wrong with a simple text asking how their day at work was or what they got up to over the weekend. Show that you care about what they're doing and you'll end up learning a lot about them. Nothing reveals true feelings faster than jealousy. You may have been in the friend zone. While they were dating someone else and felt this feeling yourself. But don't forget that there are more people in the world than just your crush. Try spreading your wings and pursuing someone else for a while. This will help determine if your feelings are genuine and it will also show the other person that you are desirable as well. Don't pretend to like someone else just to make them jealous. As they will see right through it. If you are honest and say that you've got feelings for someone else. It may be the push your crush needs to see you as something more. Also Read:8 Proven Benefits of Green Tea. Your crush will not appreciate being hounded or shattered. If you try behaving like a partner before you're actually dating. They will resent you this is also true if you are constantly around them and never leave them alone. It may seem like you're smothering them. Avoid showing signs of mistrust and jealousy when they are around other people. Because they'll find it rude. Make sure you treat them as you would any other friend no one wants to feel like they're being criticized by one of their friends. You want them to feel comfortable whenever you're around. Once you feel comfortable around your potential partner. Try breaking the touch barrier. People only like to be touched by the people closest to them. And their reactions to your touch can speak a thousand words. Try grabbing their arm when they say something funny or put your hand on their back when opening the door for them. 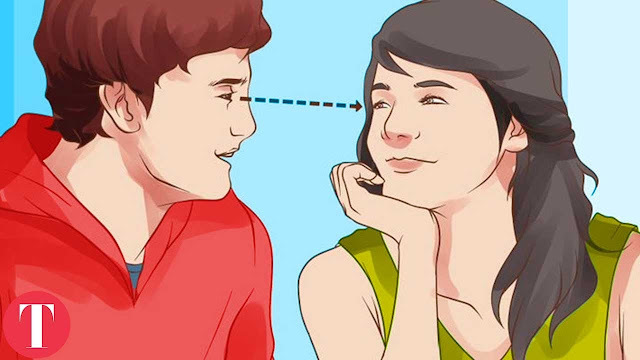 If you feel confident enough to try taking them slightly to see if they react affectionately. If at any point they move away from you or push back. It's an indication that they don't feel comfortable with your touch. And a romantic relationship is off the table. If you have tried the previous steps and met nothing but resistance. It's time to give up. Love is a powerful feeling that can make us do incredible things. But it can sometimes blind people from the facts. If you feel like your crush is beginning to distance themselves from you. It's best not to pursue them. You don't want to alienate your friend and make them resent you. If you see a clear sign that your affection is not wanted. You need to stand down. By chasing something that is already lost. You may lose even more. Also Read:Why “C” Students Are More Successful Than “A” Students? Finally, you want to be honest and clear about your feelings. Strong relationships aren't built on games. People don't like being played or sent on a wild-goose chase. The last thing you want to do is hide your true intentions or deny your feelings when asked. A genuine person is always honest about how they feel and they don't shy away from potential conflict. Continually following all the previous steps but never actually taking that leap of faith will get you nowhere. It may be the hardest step with the most risks. But your friend will respect you for taking it. Tell us your stories about the friend zone in the comments below. What worked and didn't work for you. Share your experiences with us.